 Lose weight - and save gas! Front. Rear. All-wheel-drive. Which one is right for you? Depends how you want to handle the road. 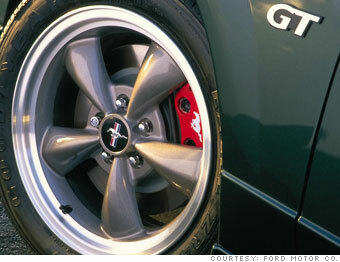 For 44 years, the Ford Mustang has remained resolutely rear-wheel-drive. Decades ago, front-wheel-drive cars were considered odd. Not anymore. These days, front-wheel-drive is common and it's rear-wheel-drive that's considered "special." RWD will probably never return to its old prominence - it was largely replaced during another energy crunch to give smaller, more fuel-efficient cars more room. But modern computer technology - which can help overcome some of the handling "issues" associated with RWD - is helping it to make a comeback with performance drivers who prefer its better balance. In the meantime, all-wheel-drive, once something relegated to off-road-vehicles as four-wheel-drive, has become common, too. These days, even mid-sized family sedans are available with AWD. Which is right for you depends on your needs and your driving style.